I shared a poem & images in 'Guess This Place!'. Recently, I got to conduct an Odisha Quiz in Twitter - My First Twitter Contest As A Curator. Here are the Q & As for you to check out your OQ- Odisha Quotient! 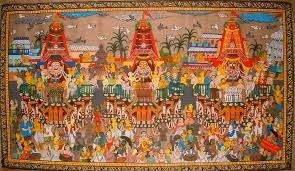 Q1- This depicts the Rath Yatra. What are such traditional paintings of Odisha called? 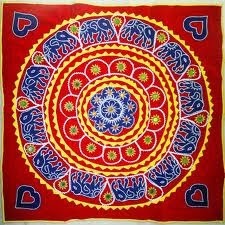 Q2- Which place of Odisha is famous for such colorful applique works that are also named after the place? 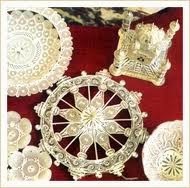 Q3- Which city, famous for such Tarakasi (Silver Filigree), was the previous capital of Odisha? 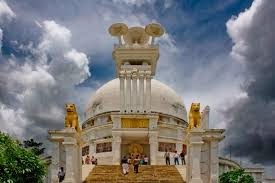 Q4- The Shanti Stupa at Dhauligiri is on the banks of which river of Odisha? Q5- Identify this traditional cheese-based syrupy sweet-dish that originated in Odisha. 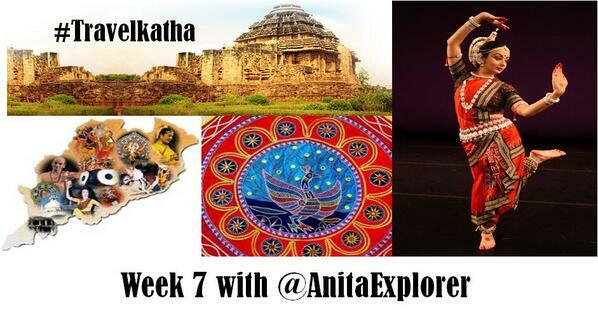 Q6- What do the #Odisha attractions- Atri, Deulajhari, Taptapani & Tarabalo have in common? Q7. Rushikulya Estuary & Gahirmatha Sanctuary in Odisha are famous for which marine creature? Q8. Which city of Odisha is known as the 'City of Temples' as at one time it's said to have 100,000 temples? Q9. Name Asia’s largest brackish water lake that is in Odisha. Q10. How many Wheels are there in this UNESCO World heritage monument in Odisha ? A10- 24 Wheels in the Sun Temple, Konark. How many answers did you get right? Please do share! 10/10! It's great to see somebody from Odisha trying to promote our state. The tourism dept of the state govt. hardly functions! Odisha deserves better - a more active Tourism Department can work wonders for the Soul of Incredible India as Odisha has everything to cater to anyone & everyone's interests- nature, wildlife, beaches, art, architecture, cuisine, textiles... everything... & the same points are true for our India too...India is a must-visit destination. That's great to know. Do follow my Blog & check out my Travel posts. Will write more about Odisha & Incredible India. Shanti Stupa was new to me. 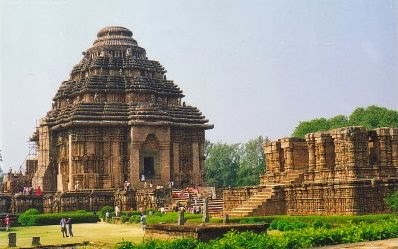 Indrani, You must visit it the next time you visit Bhubaneswar. It's a lovely peaceful place. Wow.. intelligent questions! :) Hope to participate in the next.